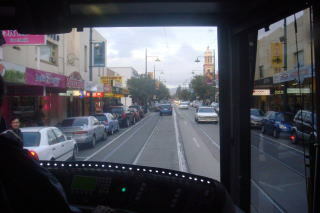 of the integrated Adelaide Metro public transport network. 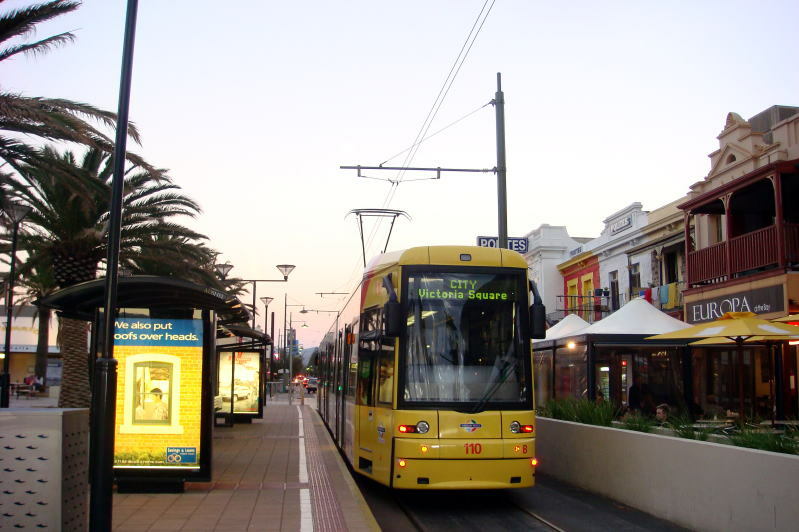 A tram at the Moseley Square terminus, Glenelg. 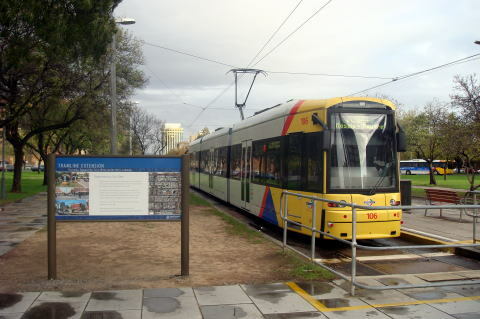 A tram at the Moseley Square terminus for Victoria Square. 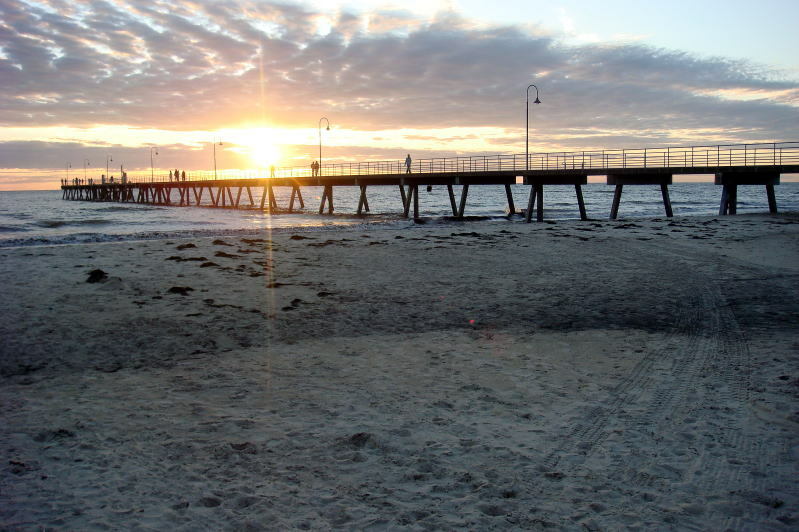 A beautiful sunset at the Glenelg beach, Gulf Saint Vincent. 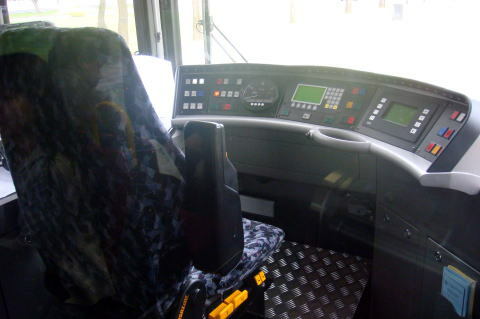 (L) A motorman's computer panel. All automatic and many white lamps are keeping on the light in motion. 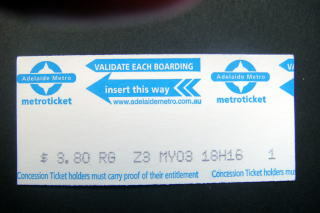 (R) A tram ticket which printed the period of validity. 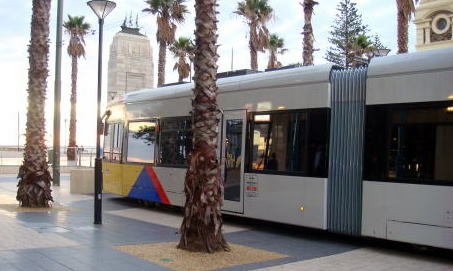 (L) A tram runs on the street surface near the terminal stop of Glenelg. 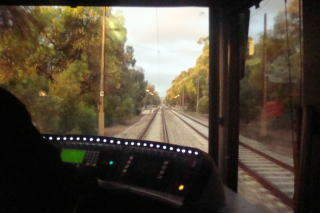 (M) A tram follows a street signal same to automobile. 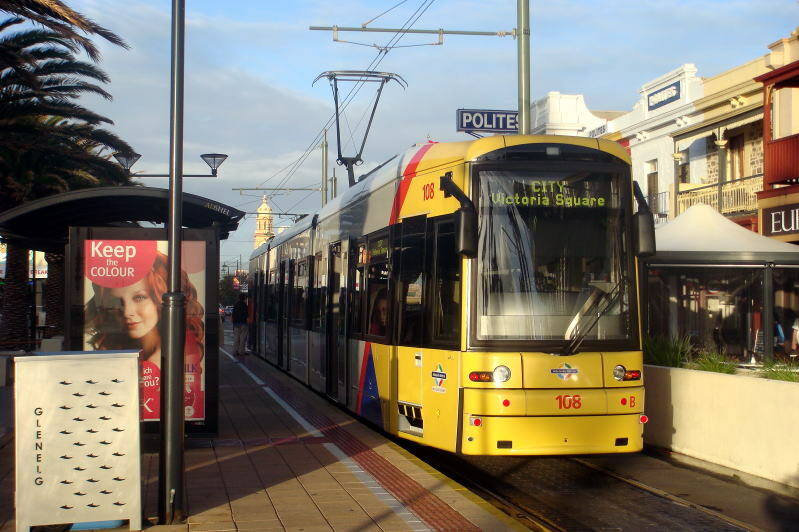 (R) Adelaide's suburb residential area is in autumn tints with yellowish brown color. 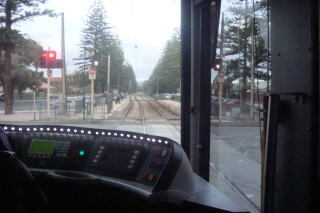 A Glenelg tram at the Victoria Square waiting for departure. 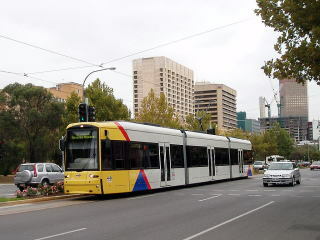 Adelaide Railway Station for suburban trains. (L) The platforms of Adelaide Railway Station. No photo taking of the platforms is allowed for a security reason. 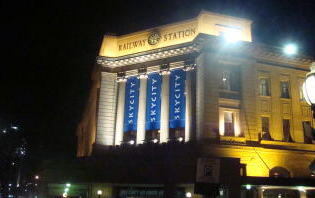 (R) The front view of Adelaide Railway Station. 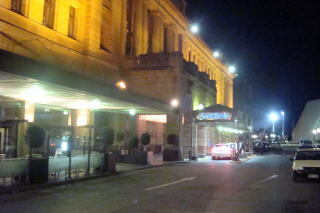 Adelaide Railway Station and the casino building.